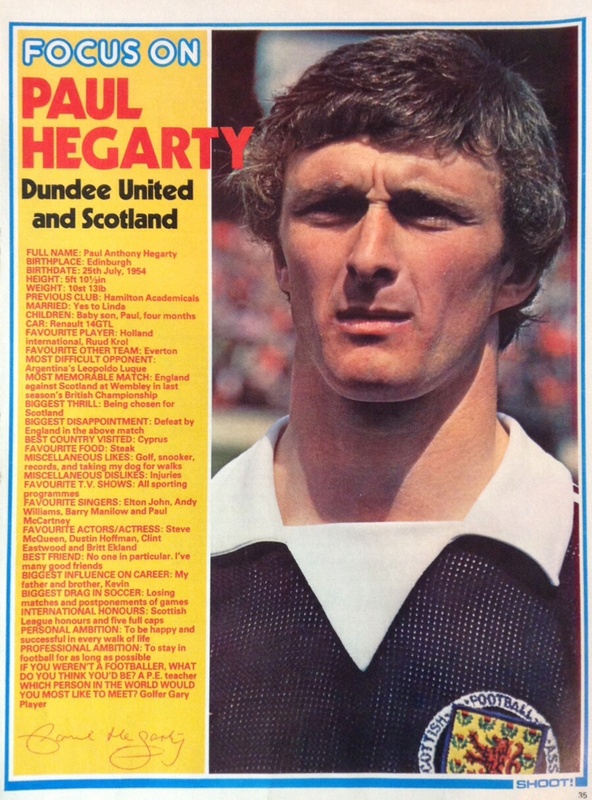 Born in Edinburgh in 1954, Paul Hegarty played youth football with Tynecastle Boys Club and began his senior career as a striker with Hamilton Accies in 1972. 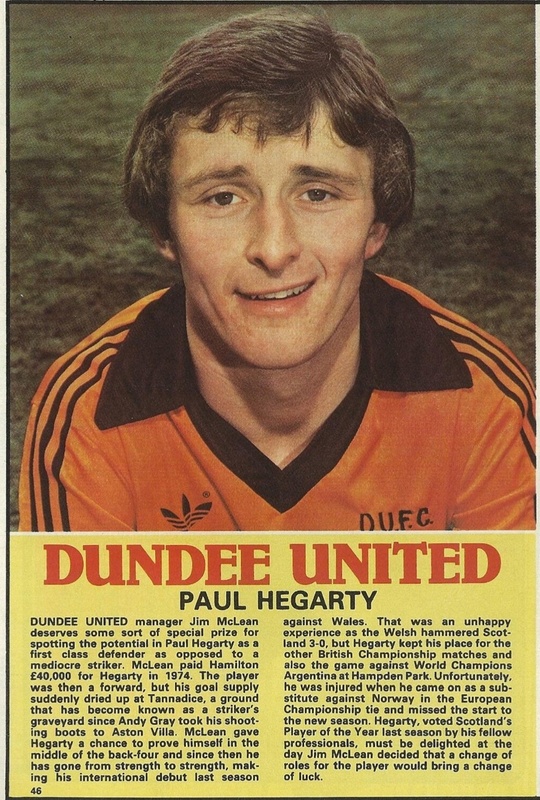 In November 1974, Dundee United manager Jim McLean paid a fee of around £40,000 to bring Hegarty to Tannadice at the age of twenty. 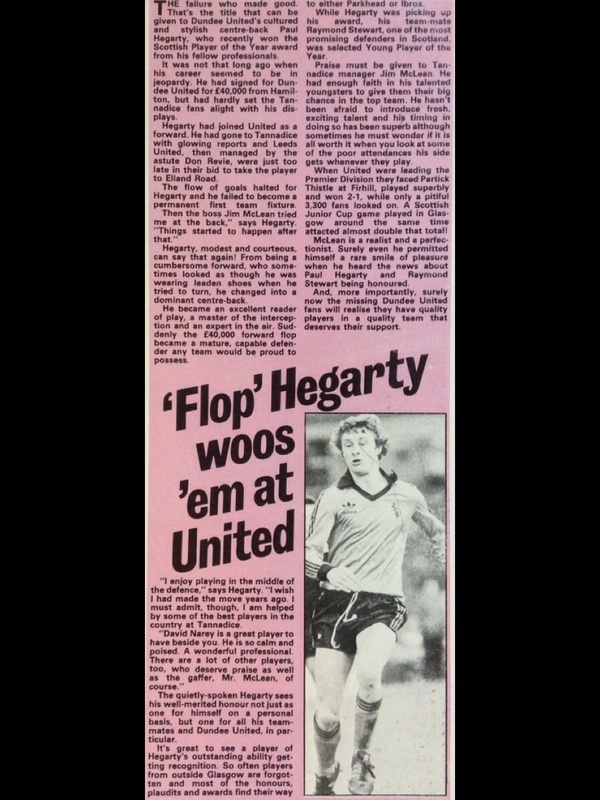 In his early days with United he played in his original favoured position as a striker however in November 1976, Hegarty was played in centre defence in a friendly against Everton as an experiment. 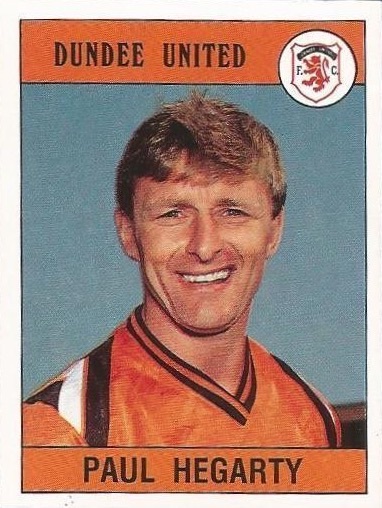 It became clear that Paul would make a dominant central defender and he soon formed a formidable defensive partnership with Dave Narey that would become the backbone of Jim McLean's great Dundee United side for over a decade. Paul was rarely out of the side for the next thirteen years. 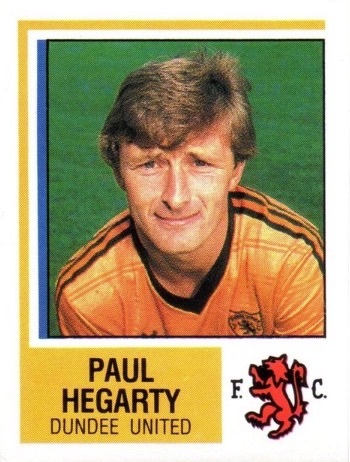 During his years as club captain, Hegarty led his teammates to three major honours. 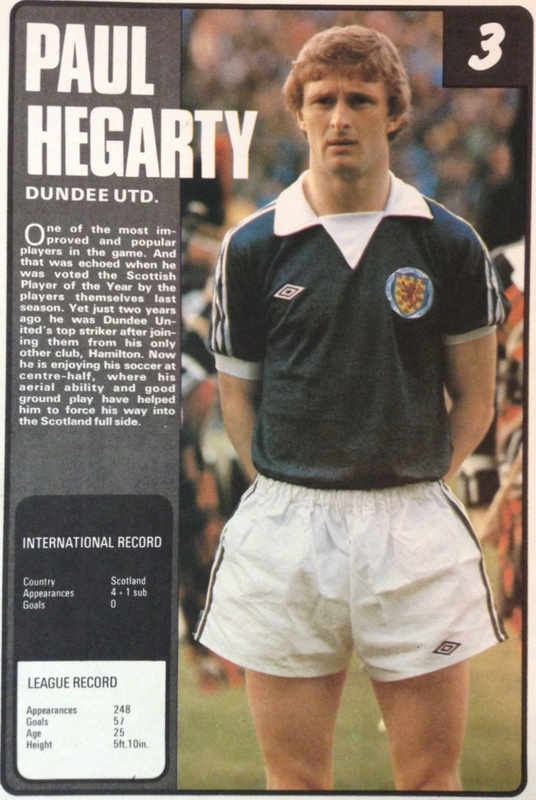 In 1979, Heggy lifted the Scottish League Cup at Dens Park following a comprehensive 3-0 cup final replay win over New Firm rivals Aberdeen, the club's first ever major trophy. 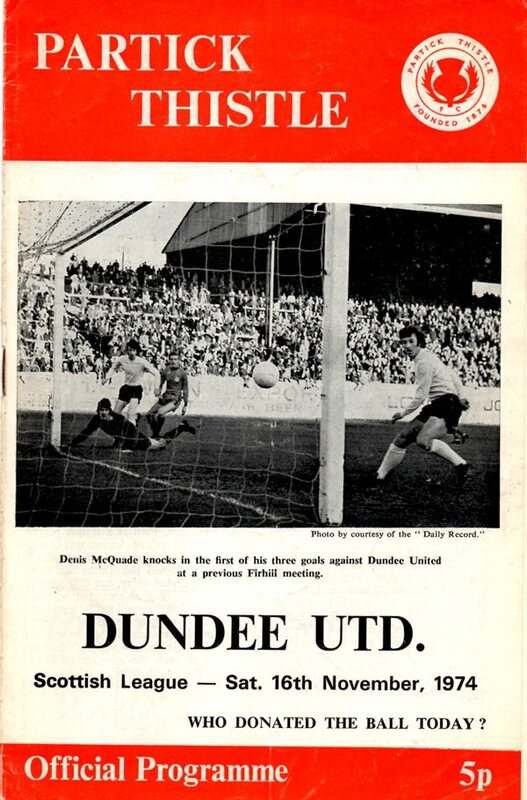 The following year, United retained the trophy, again at Dens Park but this time beating city-rivals Dundee by three goals to nil. 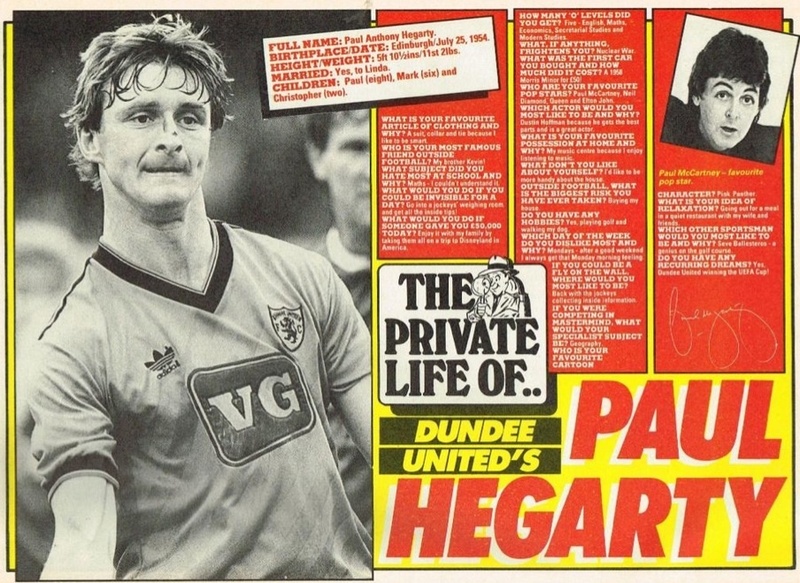 Hegarty chose to step aside and allow long-serving goalkeeper and fellow Dundee United Legend, Hamish McAlpine to lift the trophy. 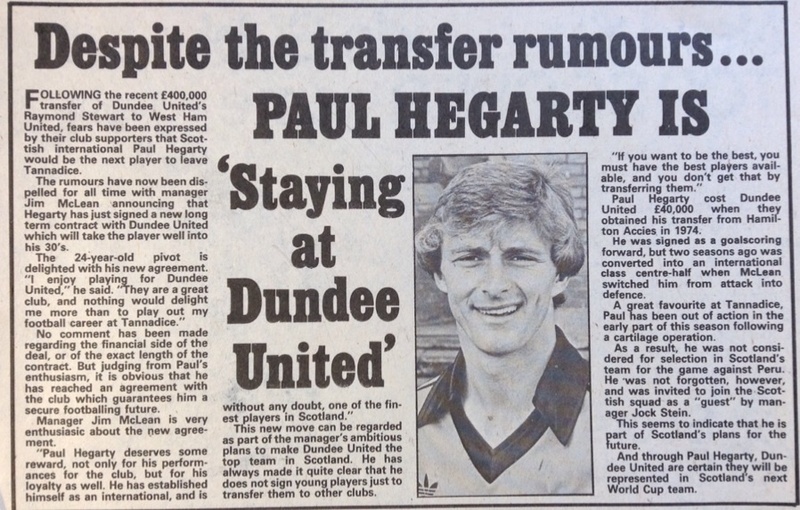 More success soon followed, in 1983 Paul had the unique honour of leading United to their first and only League Championship win to date following a dramatic 2-1 win over Dundee at Dens Park on the final day of the season. 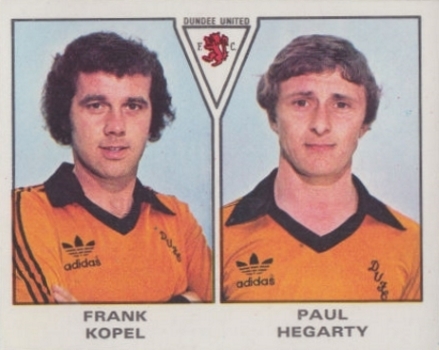 Along with his central-defensive partner Dave Narey and goalkeeper Hamish McAlpine, Paul was an ever-present in the side throughout the 36 League games of that remarkable season. 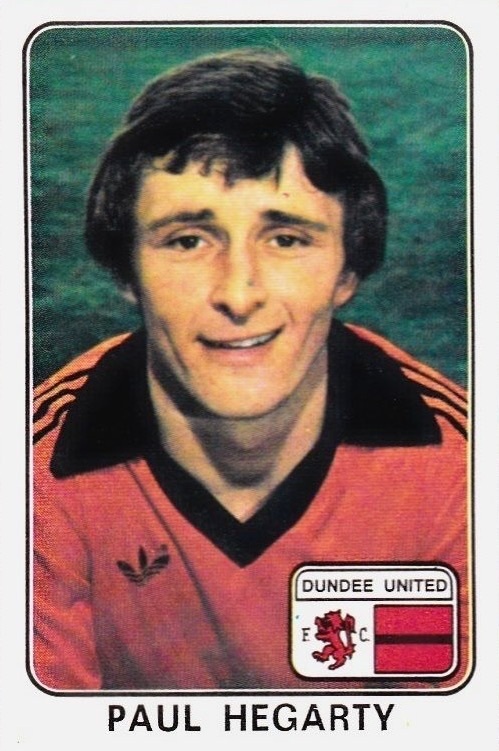 Although he only played as a forward during his formative years, Paul never lost the scoring touch and returned an incredible number of goals from the centre half position, hitting double figures with ten goals during the 1980/81 season. 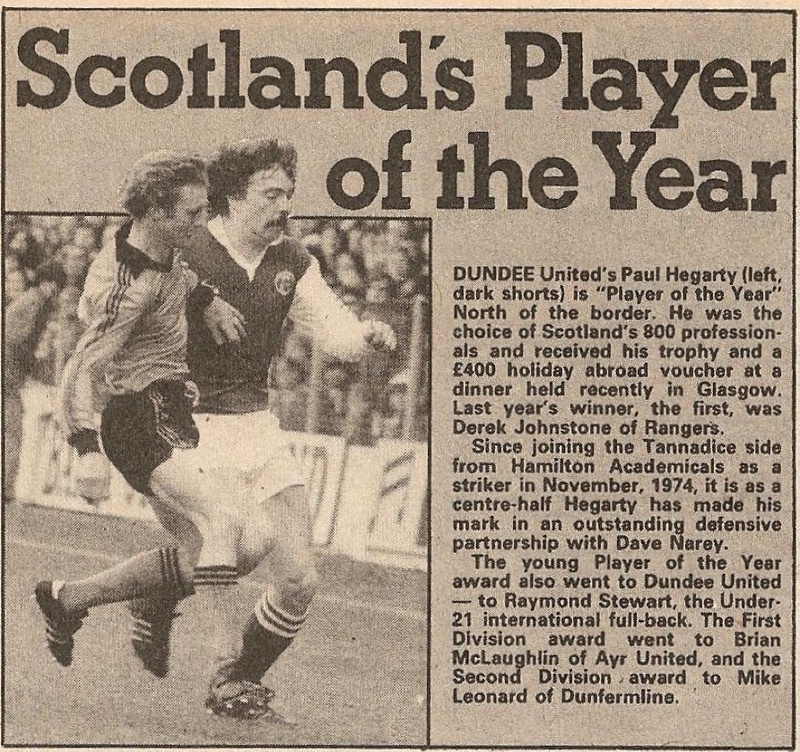 He also netted twelve European goals for United, a tally second only to Ralph Milne's count of fifteen. The influence Paul had on United's reputation throughout Europe during the 1970s and 1980s cannot be understated. 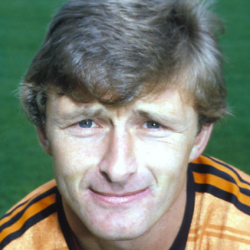 He appeared in 50 consecutive European ties from 1977 through to 1986, including famous victories over Monaco and Borussia Monchengladbach in 1981, and United’s run to the semi-finals of the European Cup during the 1983/84 season. 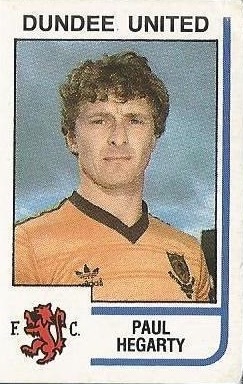 He missed five matches of the famous 1986/87 UEFA Cup run, but returned in time for United’s amazing quarter final victory over Barcelona at the Nou Camp, and remained in the side throughout the rest of the competition, where he collected a runners-up medal after the heart-breaking final at Tannadice. 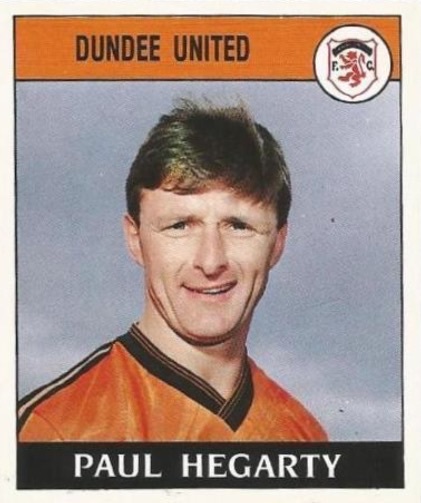 In recognition of his contribution to Dundee United, the club awarded him a testimonial and allowed Hegarty to leave Tannadice on a free transfer in January 1990, when he joined local Tayside rivals St Johnstone. 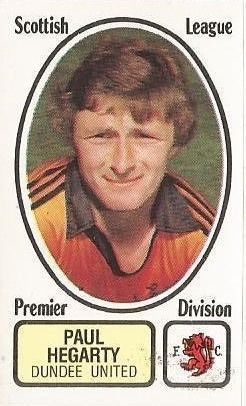 His spell with the Perth club was brief and he joined Forfar Athletic as player-manager later that year. 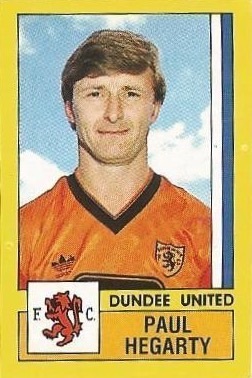 Paul brought his playing career to an end in his second season at Station Park, to concentrate on his role as manager , but his tenure at Forfar ended in relegation in 1992 and he left shortly afterwards. 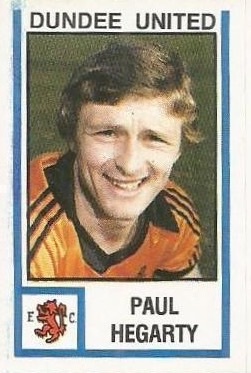 Paul would go on to return to Tannadice in a coaching position on three separate occasions, as well as two spells as Caretaker Manager. 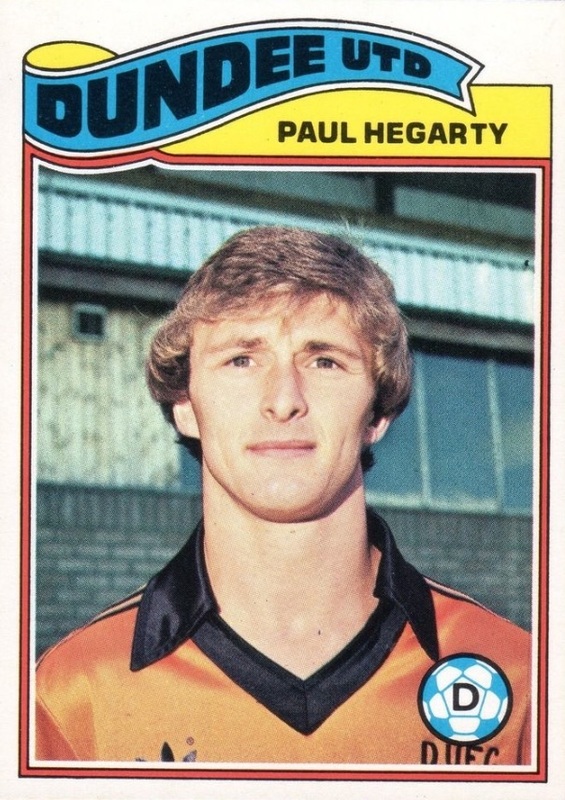 Hegarty is the most successful captain in Dundee United's history leading the club to three major honours, and only Dave Narey and Maurice Malpas have appeared more times in a tangerine jersey. 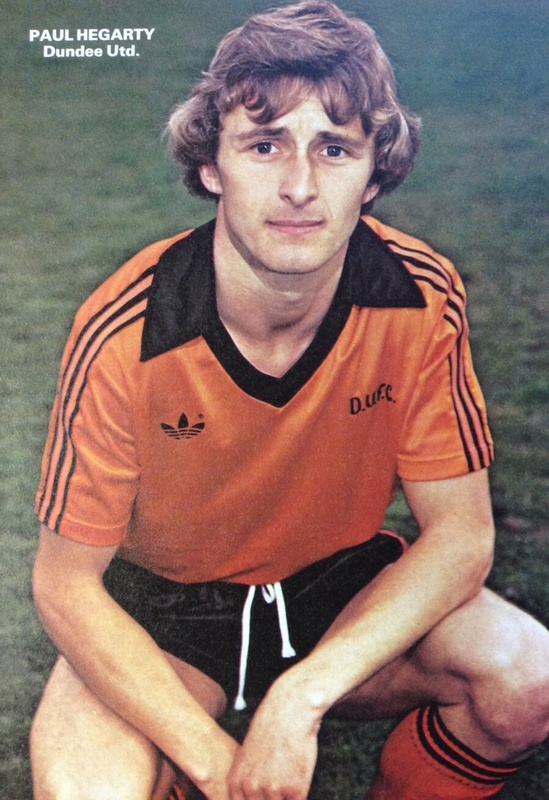 In January 2008, he was one of the first players inducted into the Dundee United Hall of Fame. 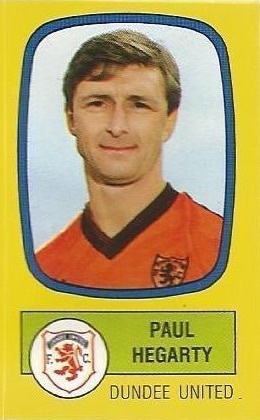 Paul was born on this date in Edinburgh. Until then Firhill had scarcely been United's happiest hunting ground for league points. 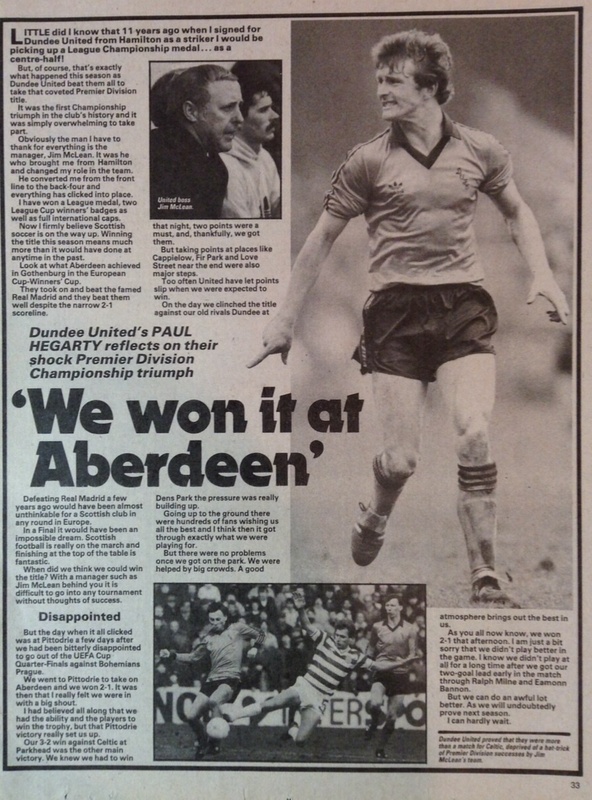 But all that changed in a devastating Tannadice display, to which Thistle had no answer at all. 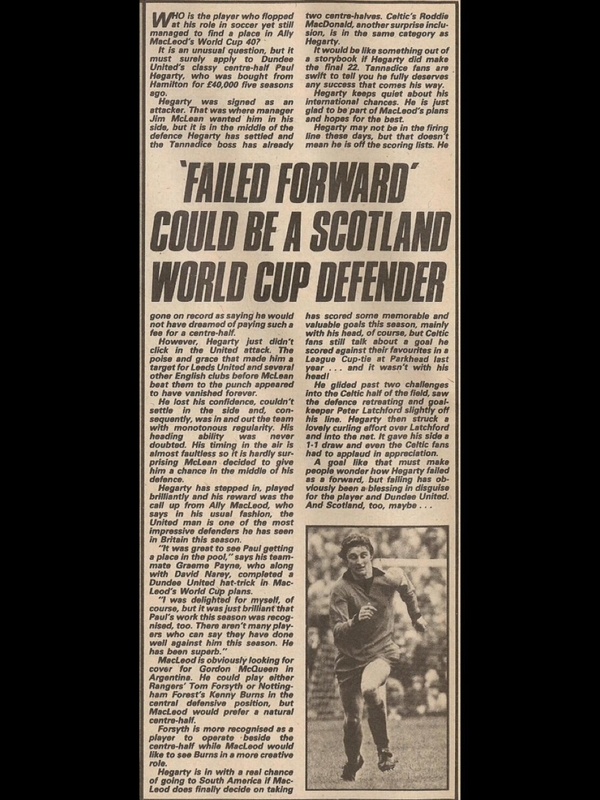 A Dave Narey rocket which rebounded from the underside of the crossbar and clear signalled the pattern and Andy Rolland went one better soon afterwards with a brilliant 20-yard goal. Andy Gray added to United's lead with two minutes of the first half remaining. 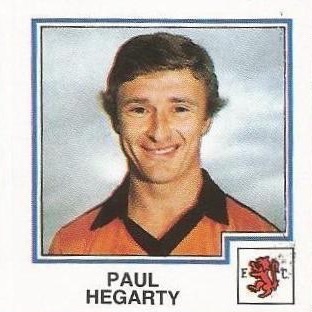 Only a late Paul Hegarty header salvaged a point against a lively Motherwell side and our poor home record continued. 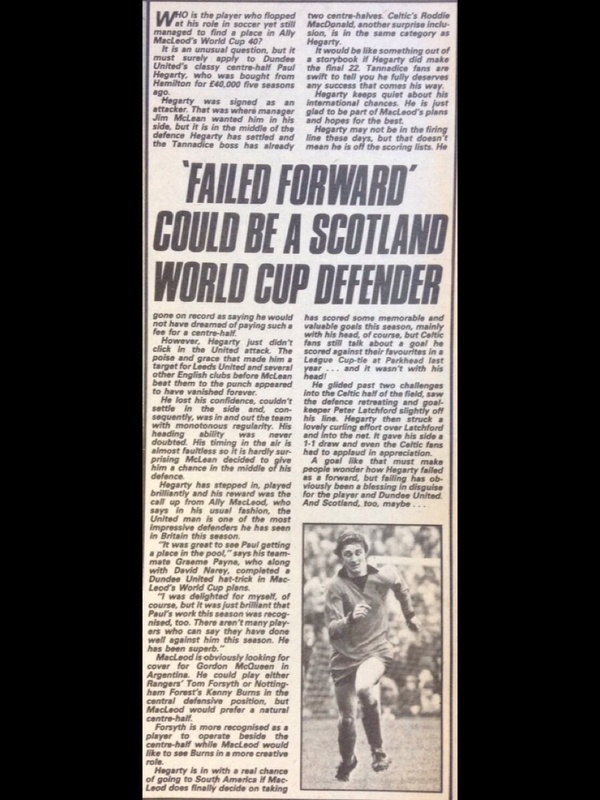 Our early pressure failed to pay dividends and there was a warning of things to come when a Kirk header was saved by Billy Thomson. 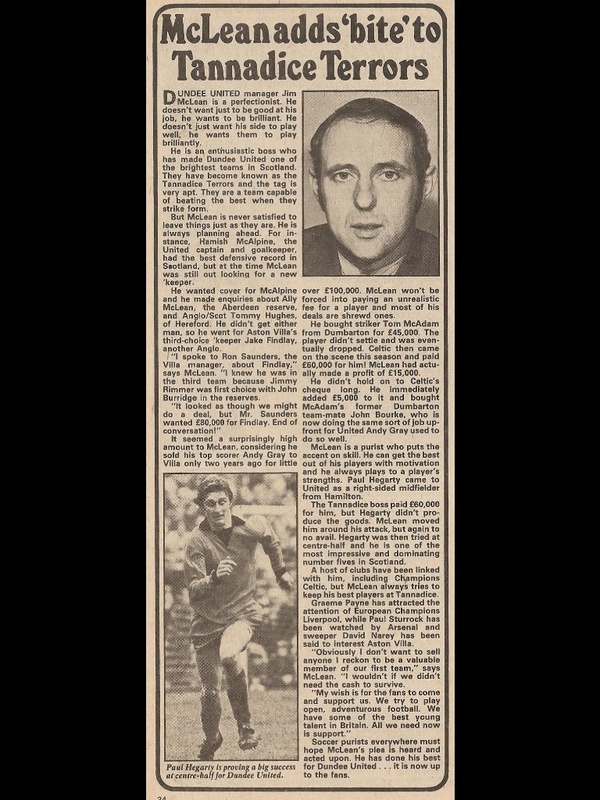 Then it was our turn to threaten when a Charlie Adam attempt was headed off the line by Russell, but two minutes from half time there was a real let off for us when Boyd's shot crashed off the underside of the bar for Billy Thomson to collect. Motherwell's appeals for a goal, which television later showed to have every justification, were turned down. For once Europe, for which we have reserved so many of our best performances in the past decade, saw us flounder. Three goals in a nine minute spell in the first half plus another immediately after the interval left us with the awesome task of retrieving a four goal deficit this evening! 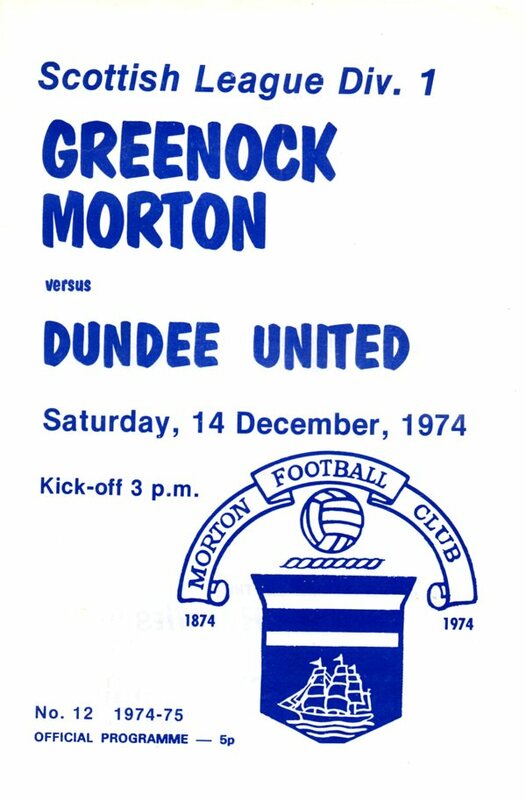 We actually made a good enough start with Darren Jackson setting up a chance for Mixu Paatelainen, but the Finn's header went straight to De Coninck in goal. Van Rooy, the Dutchman who Freddy Van Der Hoorn had pointed out as their danger-man, showed why with a dipping free-kick which went wide and a 30 yard shot which Billy Thomson saved. Shortly after these moments of dangers, the roof caved in. Ralf Geilenkirchen was sent through by Lehnhoff and he drilled the ball home via the far post. Still in disarray we lost a second a minute later, Lehnhoff again was the architect. 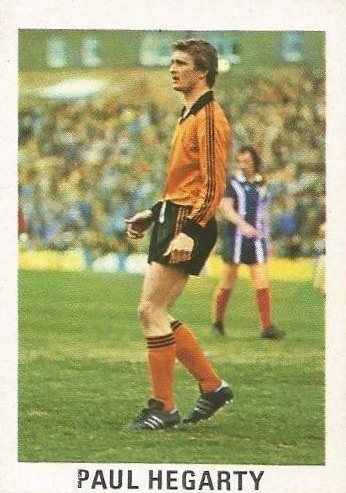 His neat pass found Frans Van Rooy, who hammered in goal number two. Two goals in two minutes and worse was to follow. Jim Mclnally fouled Geilenkirchen some 30 yards out. 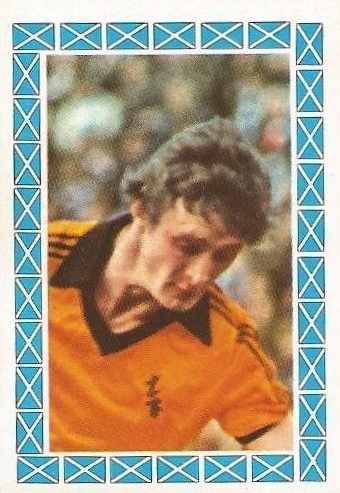 Frans Van Rooy's free-kick swerved viciously and deceived Billy Thomson who got a hand to the ball but couldn't prevent it going in.